The foods here come from a variety of cultures. Our healthy diet recipes cover everything from Mexican, Asian, African-American and more. 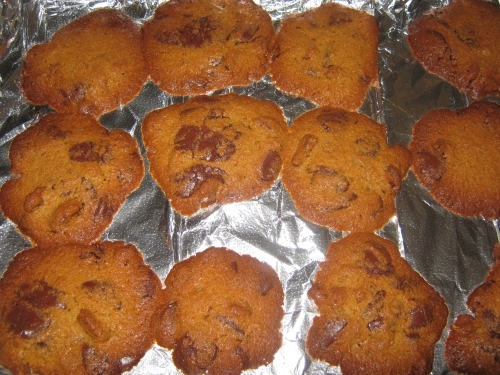 Every single recipe is tested by The Healthy Diet Paradise. We've compiled this list of healthy recipes, and we hope you love them as much as we do. 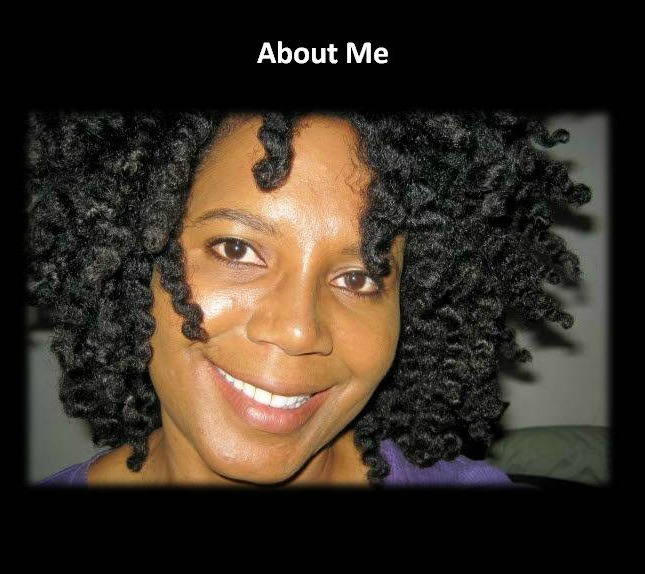 You can always substitute any items you see on our pages. For example, if you are a vegetarian, you can substitute fermented to-fu for meat products. Are you in the mood for natural, home-made beans? Beans are gluten free, and are extremely easy to make. 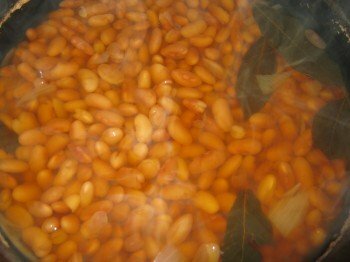 One secret about cooking beans is that they don't have to be soaked. You can choose to soak them, however, for shorter cooking times. If you choose not to soak beans, they take a little bit longer to cook. We do not recommend that you soak Peruvian or Peruano beans. I usually add onions when I first start to make them, and then remove the onions when the beans are almost done. If you prefer pinto beans, they are made exactly the same as Peruvian beans. You just don't add bay leaf! 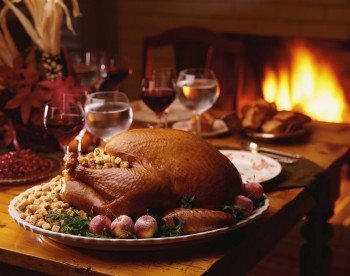 Our roast chicken recipe (picture above) is a family favorite. We call it The Traditional. When my family comes over, they get to decide what to eat. We make this at least twice a month. It's super easy to make. Coat the chicken with mayonnaise, seasoned salt and pepper, and bake in the oven for an hour and a half. You can't beat this one. 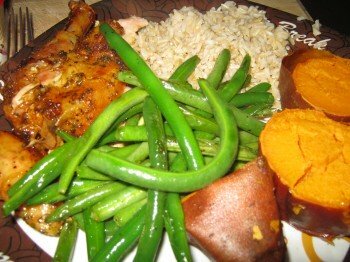 For this roast chicken recipe, we added snap beans, brown rice and yams to go with it. It's a beautiful healthy meal for your family. 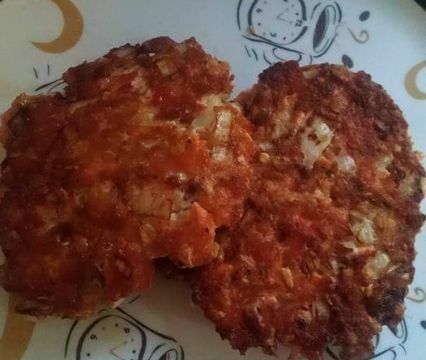 Just wait until you sink your teeth into these incredible salmon patties. We incorporate the use of high quality sockeye salmon, with other ingredients to make this delicious recipe. Are you looking for a gluten free pasta alternative? Try this gluten free pasta recipe made with ground turkey and topped with cheese. This delightful meal takes only 25 minutes to prepare. Our dinner recipes are exact copycats of traditional meals that cause obesity. For example, our oven fried chicken recipe uses high protein soy flour, and it tastes unbelievable. We got into the mood for Kentucky Fried Chicken, but we did it our way! Don't forget the macaroni and cheese with home made cole slaw! Chicken adobo is a very popular recipe in the Phillipines and on Guam. A family that I used to live with taught me how to cook this traditional favorite, and I've been making it all my life. Our chicken adobo has vinegar, soy sauce, onions and pepper balls. It has intense flavor unlike anything you've ever eaten. If you try this one just once, you'll make it at least once a week. Ahem, this is our pride and joy. 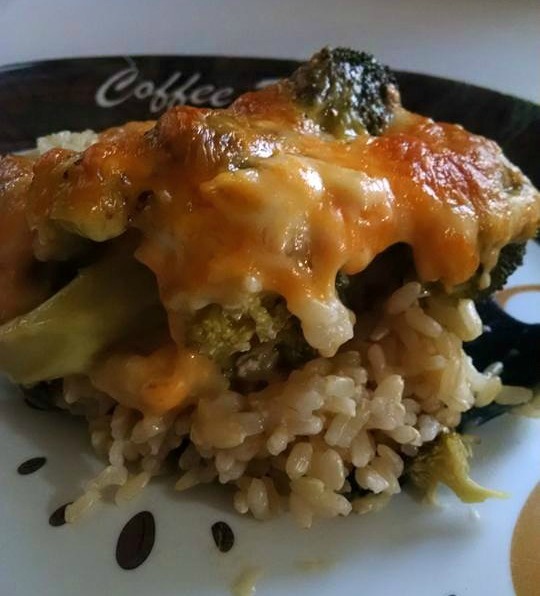 We've taken a standard rice, chicken and broccoli casserole and turned it into a healthy masterpiece. Our video version shows you from start to finish how to make this beautiful meal. Our casserole is a traditional American favorite. Not only is this recipe visually stunning, the texture and flavor make it a healthy comfort food. This healthy casserole recipe is a must have for your family to enjoy. Quinoa is a whole grain/seed that is very popular for gluten-free diets. This beautiful grain comes in different colors. It's inexpensive, and you can eat it for breakfast, lunch and dinner. This quinoa recipe we made was so good, we couldn't stop talking about it. Quinoa has a very distinctive, elegant flavor. You'll get addicted to this quickly. It's low glycemic, gluten free, and loaded with vegetables and fiber. The flavor reminds me of sitting back with a glass of champagne, and listening to classical music. There's just something luxurious about it. You get home at 6:00, and you're exhausted. The kids are screaming, you haven't sat down, and now everybody's asking what's for dinner. This video will show you how easy it is to prepare a fast, healthy dinner for your family. Not only is this stir fry delicious, but you can clean up in a snap. For our gluten-free diet visitors, please use gluten-free soy sauce. You won't find a recipe like this anywhere but here, because we made this one up! This delicious Asian-style meal is made with ground beef, mung bean sprouts and onions, and heaped upon a bed of piping hot brown rice. Once you eat this, you'll love it so much, you'll make it a part of your weekly menu. This cabbage, broccoli and carrots recipe is a masterful copy cat of Oki Japan restaurant. This delicious, mild flavored vegetable dish goes with literally everything on your menu, and it's extremely easy to make. Who doesn't love fried rice? When you're cooking fried rice, be sure to cook your rice the day before. If you don't have cold rice, it will turn out gummy and weird. We added fresh ginger, chicken and green onions. Simply delicious! Have you ever eaten bok choy? This Chinese cabbage is highly recommended to our hair loss visitors. You can make bok choy with shrimp, chicken, meatballs, tofu, or plain. In the recipe showcased here, we provide a bok choy recipe that uses both chicken and meatballs. We also provide a video to supplement this incredibly delicious recipe. 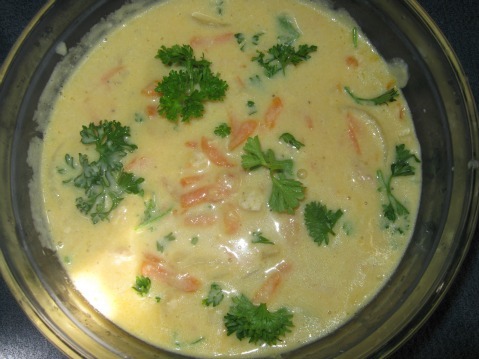 This cheddar cheese soup recipe is made with rBGS free cheese and milk or soy. It also has chicken, shredded carrots and fresh picked parsley. If you're on a low glycemic diet, you cannot have regular white flour. Instead, we used chickpea flour, and it thickened the soup beautifully. My family insists on this mouthwatering, healthy soup. This cheddar cheese soup also reheats well, and tastes even better the next day. This recipe uses fresh kale and leeks. These are two superfoods. What a great combination of healthy vegetables to get into your diet. More on how to cook and prepare leeks here. We do everything differently at The Healthy Diet Paradise. 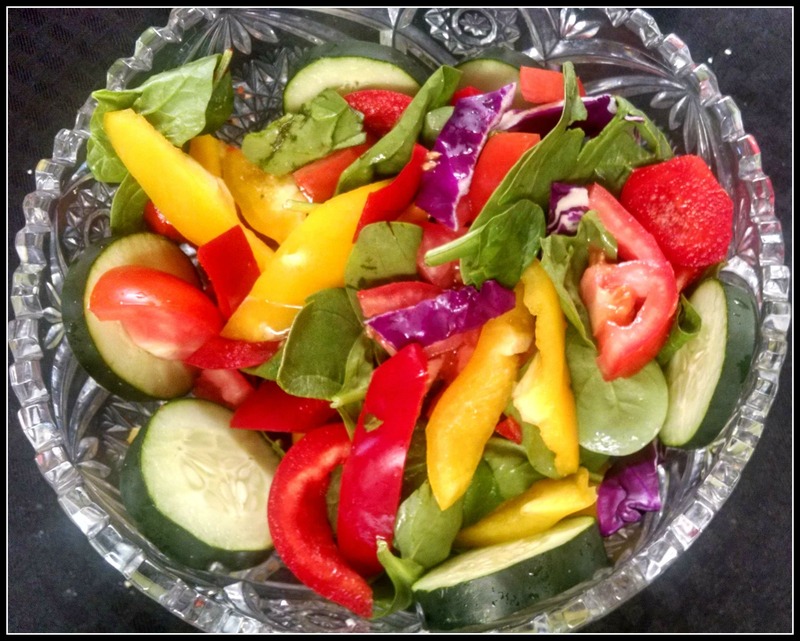 Our vegetable salad recipe page gives tips on how to create a nutrient-dense delicious vegetable salad. Click here for more! For our gluten free visitors, we've created a seven-day breakfast menu to jump start your healthy diet. You can't resist buckwheat flour pancakes, morning cinnamon and rice cereal, or a healthy shake. You can even devour gluten-free quesadillas for breakfast that take only minutes to prepare. Try a new spin on hash browns. Our unique and very simple hash browns recipe was donated by a visitor and only take minutes to prepare. Taste this incredible Cuban style pork roast recipe. We used this recipe for Christmas, but you can use it any time of the year. It has a tremendous festive aroma. You're going to need to set aside a bit of time, because we use hand-crushed garlic to make the pulp and sauce. For our gluten-intolerant visitors, you can use another type of gluten-free grain for this recipe. We used wheat flour, and hand-made this delicious macaroni and cheese dinner for the Christmas holiday. Macaroni has a moderate GI, and the cheese lowers it even more. This macaroni and cheese recipe has a stunning flavor and texture. Be sure to boil the macaroni al dente. Over cooking macaroni will raise the glycemic index. For our hair loss visitors, use this recipe sparingly. People going on our hair loss diet were asking for a healthy dessert menu. Well, all you have to do is look below. Our brownies are made with high protein Bob's Red Mill oat and chickpea flour, the peach cobbler recipe is made with oat flour, and the zucchini bread recipe is made with chickpea flour. None of these recipes will raise your blood sugar. When you're done eating these healthy diet recipes, you will feel the same excitement and joy that you feel when you're eating high glycemic products. 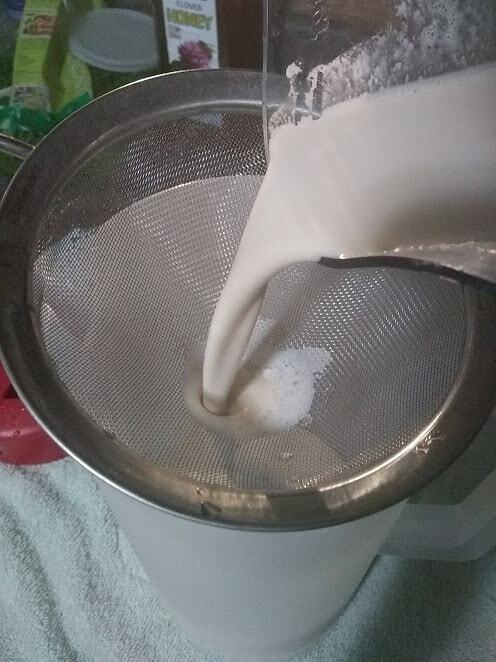 Use our cashew milk recipe for your desserts!